At Jackson, being a full-service marketing firm is something we take literally. As the term “full-service” indicates, we offer everything from strategy and branding to digital and public relations. Events, tours and dealer marketing also are among our specialties. And because of a unique client need several years ago, we added product sales to the mix. Our foray into product sales started in off-road racing. BFGoodrich® Tires was supporting desert off-road racing by selling race tires and providing service to racers and race teams at events like the Baja 500, Baja 1000 and MINT 400. 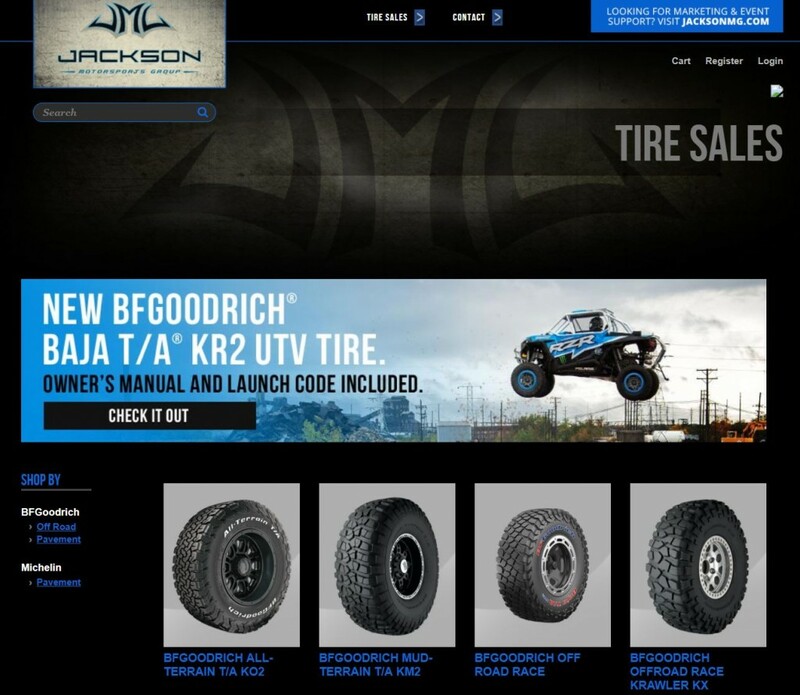 What began with at-track sales and service for all-terrain tires today includes telephone sales at 1-800-RACE-BFG and online sales at JacksonMotorsportsGroup.com for BFGoodrich® all-terrain, off-road, pavement and Krawler tires. MICHELIN® racing tires also are among the offerings that round out a full complement of non-DOT, pure race application tires. Since these are race products targeted at specific niche audiences with a need for detailed technical information, JMG can provide a level of service and expertise not found through traditional sales channels. 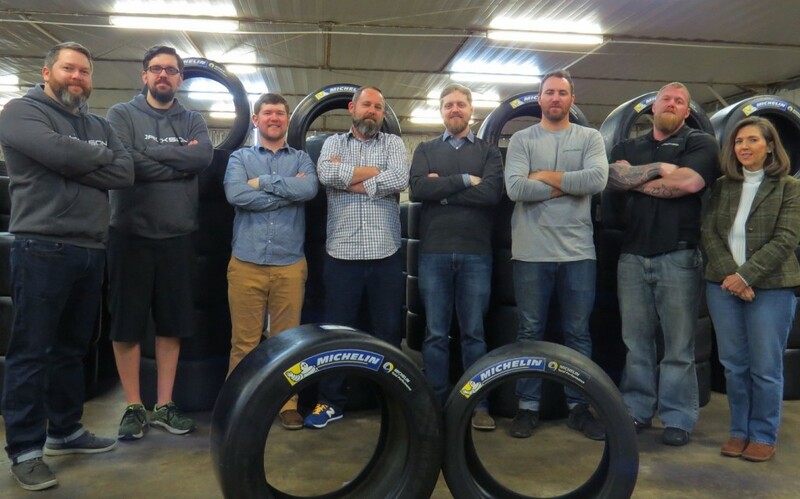 As category experts, the JMG product sales team sells to racers who know exactly what they want, along with racers who need guidance on the best tire for their type of racing. And the JMG associates that are making tire recommendations over the phone are the same associates that are selling, mounting and balancing tires at the race site. “We truly are an extension of the BFGoodrich brand,” Hanna said. “They supply the product, and we provide support, sales and service. In addition to tire sales, JMG also provides pit support to desert racing teams. Pit support is a premier service provided to BFGoodrich race teams at SCORE and BITD (Best In The Desert) races. Team owners and managers racing on BFGoodrich tires have access to services that include tire changing, vehicle maintenance, refueling, welding and water for drivers. The JMG product sales team also has access to BFG engineers and designers, with the ability to ask specific questions on behalf of racers about air pressures or wear, or to make suggestions about new products. Look for Jackson Motorsports Group this year at more than 300 off-road and track racing events, including the Lucas Oil Off-Road Racing Series (LOORRS), MAZDA MX-5 Cup Series, W.E. ROCK East and West Series, ChampCar National Championship, SCORE Baja 500, SCORE Baja 1000, SNORE Racing Series, The Off-Road Championship Series (TORC), PCA (Porsche Club of America), and the IMSA WeatherTech Championship Series. At Jackson, full-service really does mean more. Jackson Product Sales Team pictured above (L-R): Eric Jackson, Bryan Lehman, Tyler Crotts, Evan Weintraub, Paul Hanna, Andy Gibbons, Sean Lake and Debra Griffin.